These two pictures were taken few years ago, with my first compact digital camera which broken down soon after. Stunning photos of these beautiful flowers! 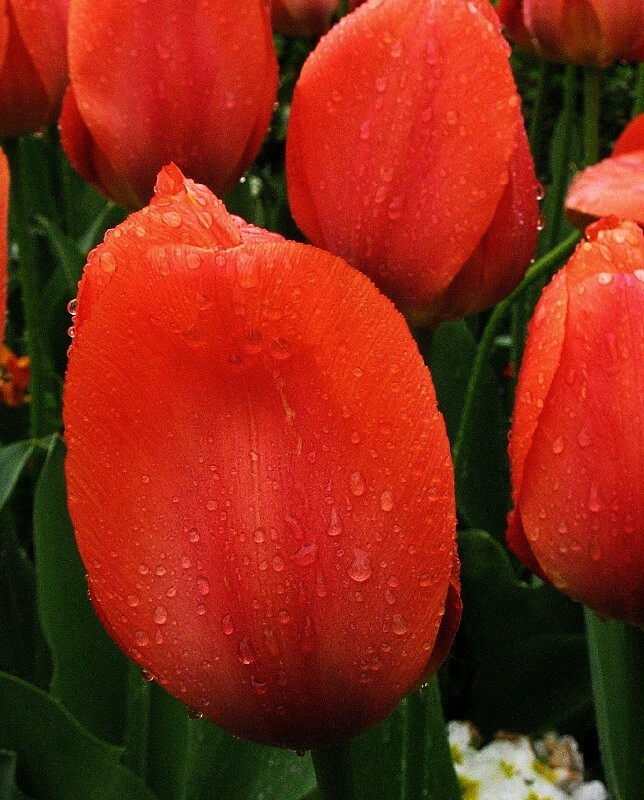 Tulips mean spring for me, they always cheer me up! In fact, when I took the pictures which was a spring day, I wanted to gave the name to these pictures such as “tear of the tulips”, because of the raindrops…, thank you! 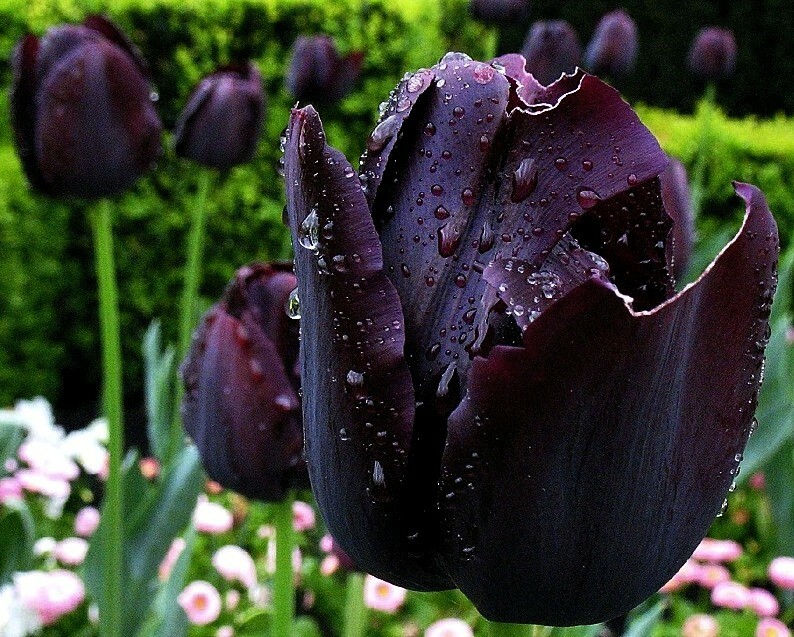 I love those dark purple tulips. I planted some the same time as the peach ones thinking they would look stunning together but I fear the peach may be over before the dark news make an appearance. So the reality is not alway follow our thought :), thank you for commenting! WOW ! Such intense color!